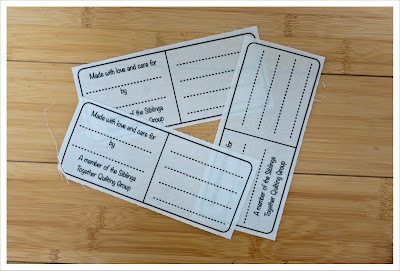 It is the weekend and I am again reporting on the blocks I have received for the 'Siblings Together' log cabing project. 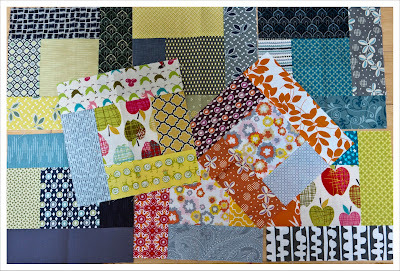 This will be the second last post on received blocks as I am starting to piece the quilt tops next weekend. I know some blocks are still in transit and I will of course wait for those but if you still wish to participate please ensure that the blocks reach me no later then the 15th of May. If you haven't heard anything about it yet and wish to join in this great cause then you can read up on it in the flickr group, the charity itself, Lynn's blog or on my first and second post. Over the past week I received four sets of great blocks; let's have a look then. 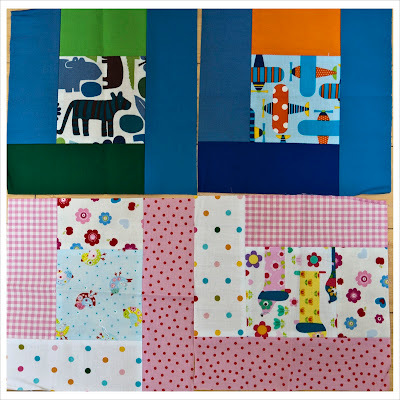 These wonderful six blocks came all the way from Canada and are from Janet . Those next four blocks are from Cherie who I believe lives in the UK (but I am not sure). Don't you just love the gingham ! Set No 3 is from Sarah who evidently was inspired by a zoo and airplanes. Just fantastic ! 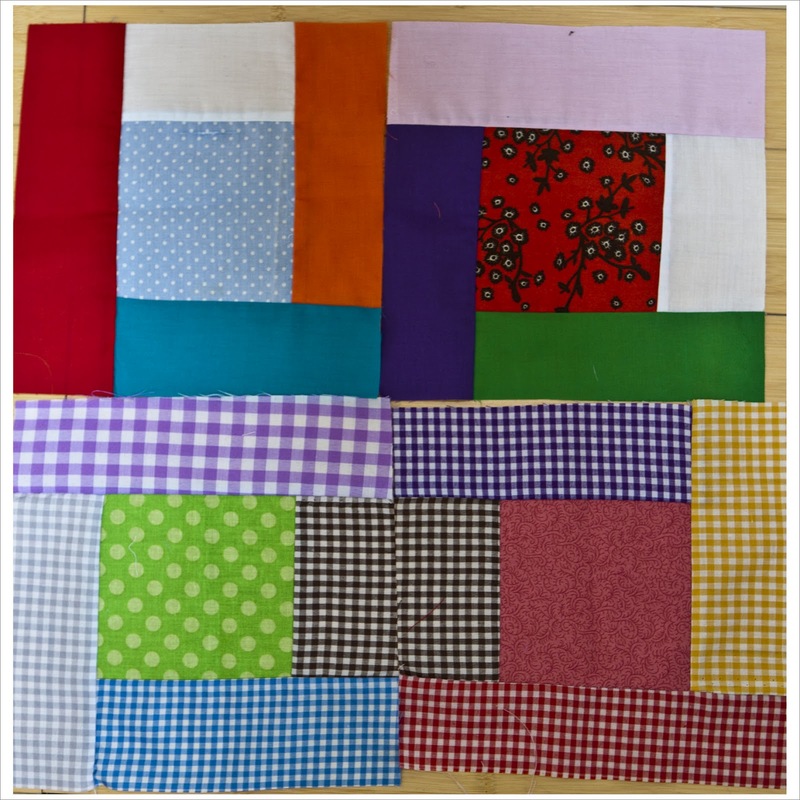 And set No 4 is from Nicolette who sent us a whole host of blocks in gorgeous warm colors. Lots of Hope Valley in there which always makes my heart go faster. 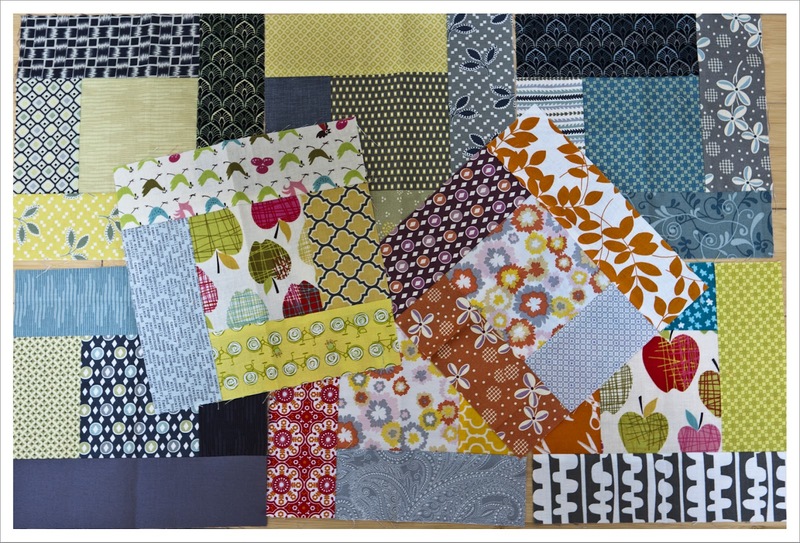 I have also received the labels for the quilts (kindly sponsored by Spoonflower and organized by Laura) and would like to pick your brains on what to write on the section "made by". I don't think "Log cabin group" or something along those lines is suitable and for practical reason I can't put all our names on the label. I am actually thinking of using cartoon names, such as "Miss Piggy' or "Kermit". Something that is fun has a personal touch and is recognizable to kits. What do you think ? Do you have any other suggestions ? 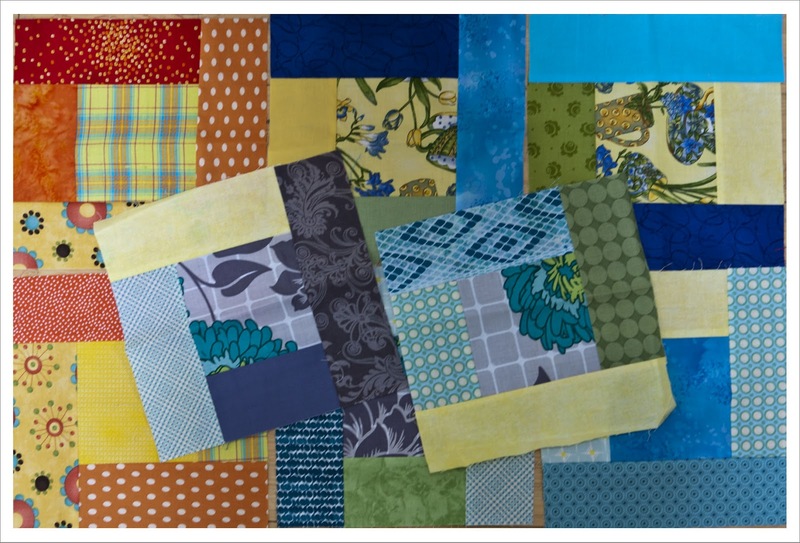 Wishing you good luck with putting together the qquilt tops! Glad to see my blocks arrived! Going to be lovely ! 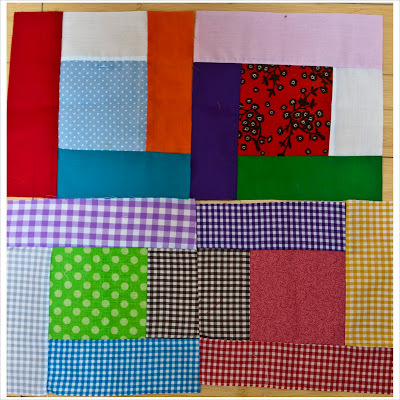 Three quilts to make then?? 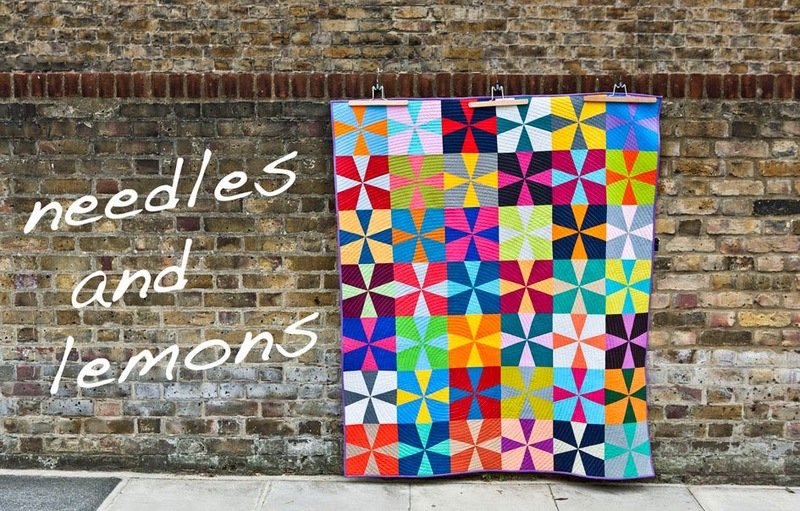 I would go with 'international quilters' (in teeny writing!) as even my 5 year olds would scowl at the cartoon characters - they grow up too quickly! 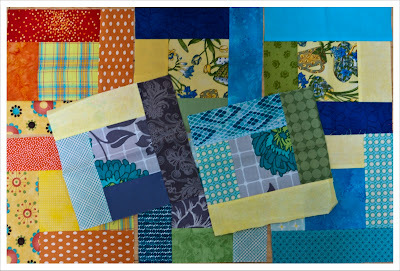 I would say something like "Made for you, with love, by a group of quilting friends". I have now consulted my 14 year old and he's in Hadley's camp. Says there in no ubiquitous (his word) character who would be cool and understood well as the kind of symbol you are thinking of and not just seen as ultra lame. Another thought would be to say from 'friends of siblings together'.